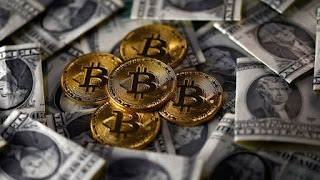 On Friday the price fell below $7,910 on the Bitstamp exchange, a 12% fall on the day before, but recovered slightly. But although it is far short of the $19,000 it reached in November 2017, it is still way above the $1,000 level at which it started trading last year. The fall comes amid a number of recent incidents that appear to have shaken faith in cryptocurrencies. On Friday, Japan's financial regulator carried out a surprise check on major Japanese exchange, Coincheck, which last week was subject to a security hack. The regulator said it had asked the exchange to fix flaws in its computer networks well before last week's theft by hackers of $530m of digital money.